Jim Cardell 58, of Teleford, passed away on December 26, 2012 at her home. She is survived by her husband of 37 years. Born September 8, 1954 in Allentown, Jill was the daughter of Alberta D.(Steltz) Burrell of Lake Havasu AZ. and the late Edward F. Burrell who died in 2006. Jill was a graduate of North Penn High School, Class of 1972 and also attended North Monco Area Vocational School for Commercial Arts. She gradated with honors from Bucks County Community College with a degree in Historical Preservation. Jill will always be remembered for her creative spirit. Over the years she worked as an interior designer specializing in Christmas decor and as a florist. 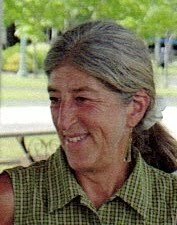 A long time member of the Philadelphia Folk Song Society, Jill worked to preserve folk music and was on the recording and archives committee. She was a co-founder of the West Rockhill Historical Society where she worked tirelessly to preserve historical structures. Above all else she cherished spending time on her farm. especially in her organic garden.